From 1st July to 31st July 2016, Greenwood Fish Market is bringing you selections of 20 different oysters from around the world. 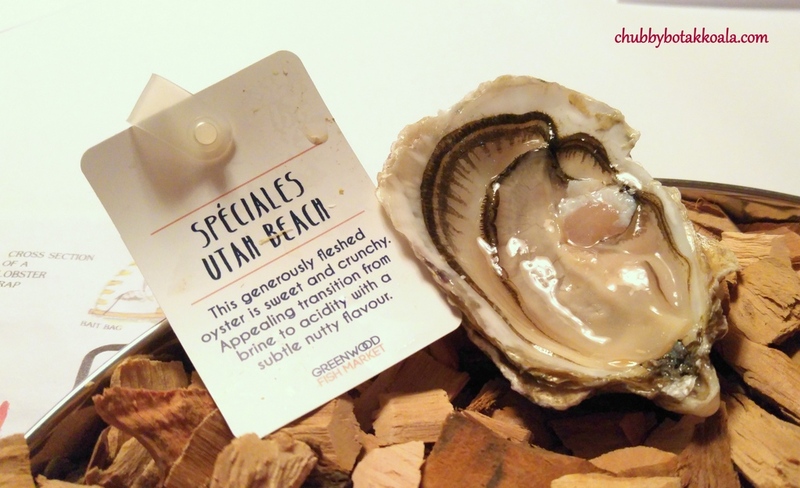 Each oyster will have its own characteristics due to different environment and cultivation methods, resulting into a different flavour. 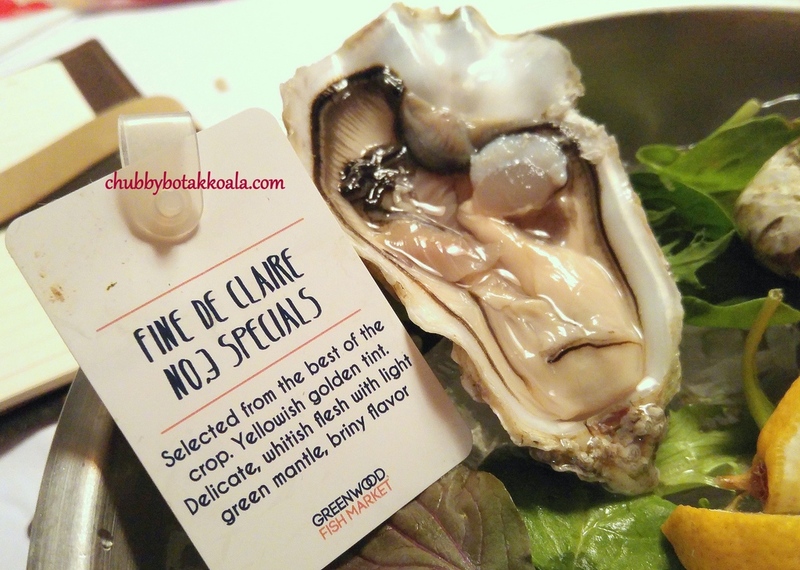 For oyster lovers, this is unique event, where you can taste 20 different types of oysters in one seating and without leaving Singapore. 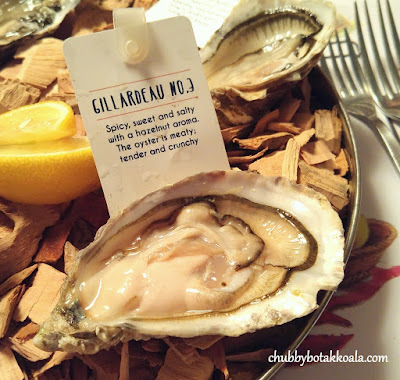 During this tasting event, we sampled 15 type of oysters. 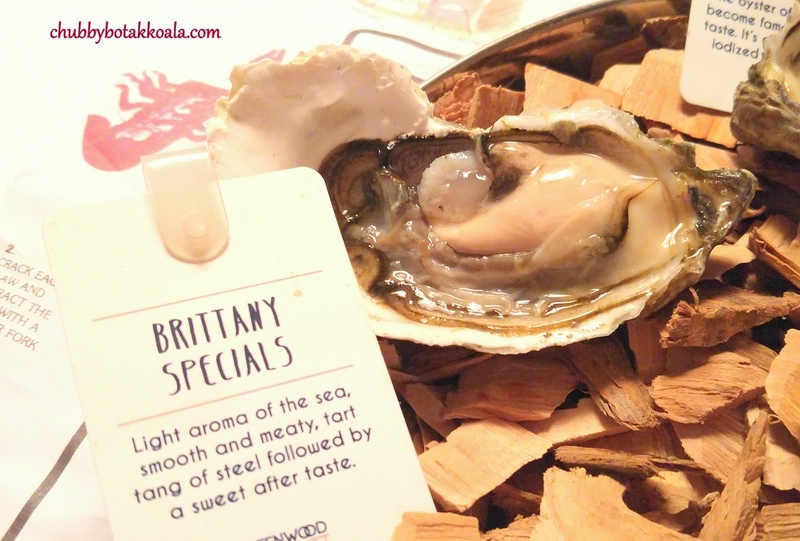 Each of the oyster come with a mini tasting note card. It is also work wonder to compare the size of each oyster. 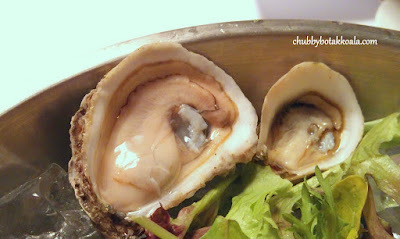 All the oysters that I ate was accompanied by a squirt of fresh lemon juice, nothing else. First basin to arrive consist of Golden Mantle, Barron Points, New Zealand Pacific Rock, Fine De Claire No.3 and Mary Points. My favourite from these batch are Golden Mantle and New Zealand Pacific Rock. Both of them have a delicate, creamy flavour with a nice sweet finish. These taste profile can easily be acceptable to the palate of someone new in the oyster world. Barron Points and Mary Points have a huge flesh size, mildly salty and with musky flavour. 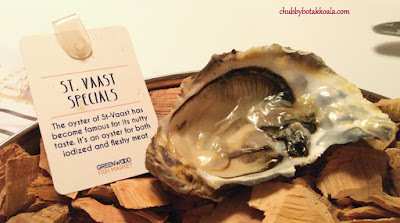 If you like your oyster meaty, these will be the good choice. Meanwhile Fine De Claire No.3 has a very strong briny flavour. Tasting note mention that it may remind you of soy sauce. I personally think that I was drinking a salt water. 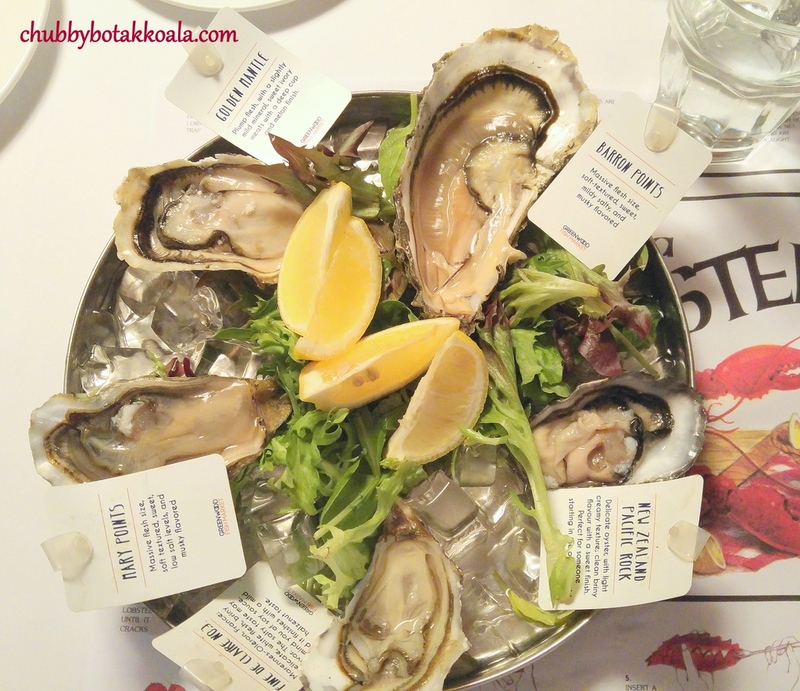 If you prefer salty oyster, this will be a good choice. Second basin was Sentinelles Speciale, Fine De Claire No.3 Special, Kumamotos, Kusshi and Village Bay. My picks are Fine De Claire No.3 Special and Kumamotos. Representing the crème of the crop of Fine De Claire No.3, it is more creamy and has well balance flavour, veering toward sweet. 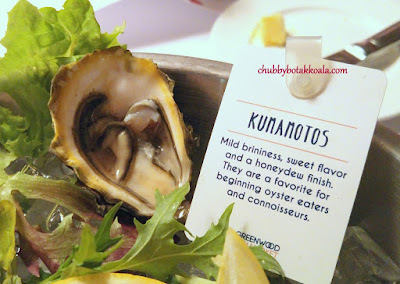 Meanwhile Kumamotos, a smaller size oyster with the honeydew finish was just delicate to my palate. Kussi and Village Bay are not in the original tasting list. Kusshi is mini clam size and almost has a similar taste clam as well. Fruity and crisp. Village Bay is about double the size of Kussi, a bit more briny. For Sentinelles, the flavour is almost neutral and the meat portion is very little. The third and final basin filled with Speciales Utah Beach, St. Vaast Specials, Brittany Specials, Ostra Regal, and Gillardeau No. 3. These batch of oysters has a more complex flavour, either by having more nutty flavour, spicy or even tart tang of steel taste profile in it. My pick from these batch is Gillardeau No. 3. It is meaty, tender and crunchy while the flavour is sweet and salty with nutty aroma. To quote French poet Léon-Paul Fargue (1876 – 1947) "I love oysters. It's like kissing the sea on the lips." And today I was kissed by the sea 15 times. 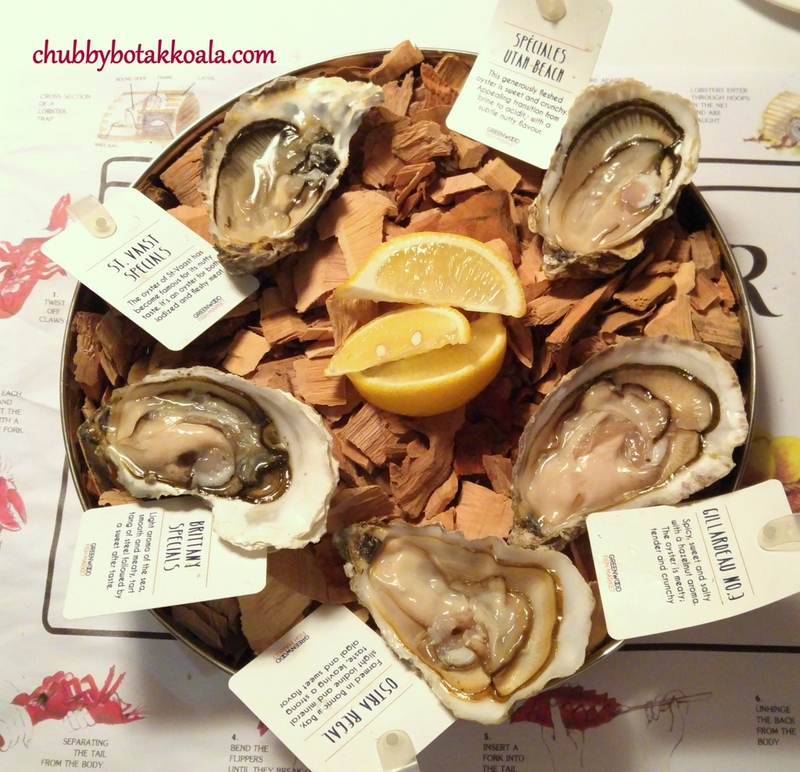 Tasting 15 type of oysters in one go is really an unique and enjoyable multi-sensory experience for a foodie like me. 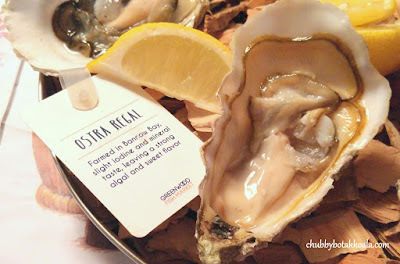 Oystergasm? Definitely. 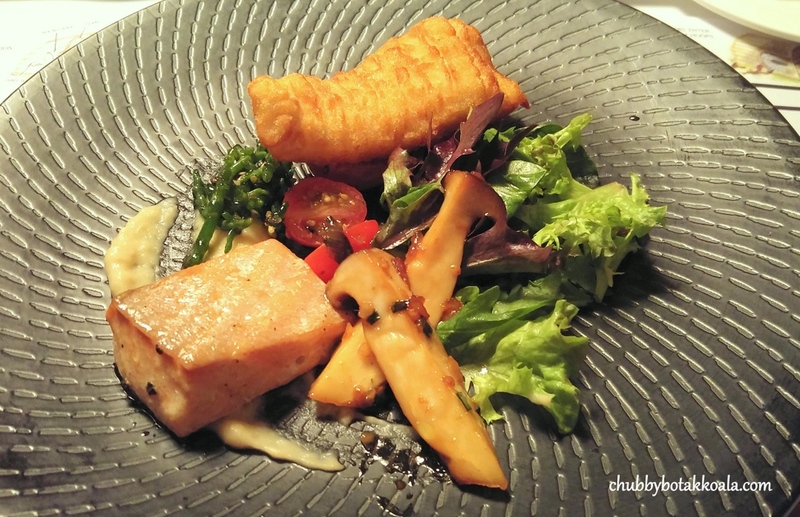 Following the oysters, we sample Chef Chris' creations – hot smoked salmon, salads and fried blue cod fish. The first impression I have for this dish is the fragrant aroma from the applewood smoke. 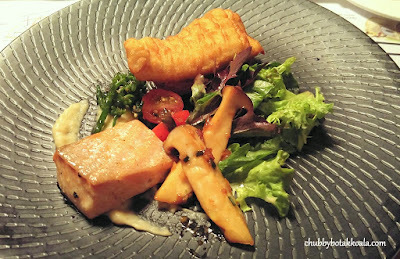 The hot smoke allow the salmon fillet to remain moist to the point that each layer of the fillet just melts in your mouth. Well complemented by crunchy sea beans and onion puree. The battered fried blue cod fish was crisp and flaky. Yummy!! 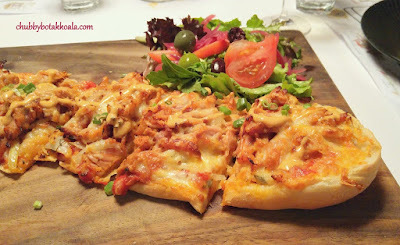 Finale was Pulled Pork Pizza ($15.95 for small, $32.95 for large). Using Turkish bread, topped with mozzarella, parmesan, and tender pulled pork. The topping was very generous, even the Turkish bread base having difficulties supporting it. The pulled pork is aromatic and tender, works well with the chewy base. A very heavy ending indeed. Overall, Greenwood Fish Market 4th Oyster Festival 2016 is definitely a must try. With more than 20 type of oysters, it does not matter if you are a novice or connoisseur; you will definitely find the oysters that suits your palate. Cheers!! Thank you very much to The Arctic Star and Greenwood Fish Market team for the tasting invitation.